A man’s safe space is often his shed: So WWT London Wetland Centre, in partnership with the Barnes Community Association, will soon be hosting a “Men’s Shed” for the benefit of men across Barnes. The aim is to tackle the isolation men can feel at stages in their life, including the loss of a partner, when children move out, or retiring or losing a job. The Men’s Shed will help men get together to create woodwork and metalwork for the Wetland Centre and the local community, like building benches and bird houses. The idea is that the activities will help them to bond and provide support for each other. Matthew Thorley, Visitor Experience Manager at London Wetland Centre, said, “The wetland centre already provides a peaceful haven to visit. The Men’s Shed will give men in Barnes greater opportunity to connect with nature, to help maintain the wetland centre for the local community, and to gain mutual friends and support within the Barnes community”. The inspiration for the shed in Barnes came after a visit to Australia by Steven Mindel, Chairman of the Barnes Community Association (BCA) and one to New Zealand by Anthony Miller, a Barnes Resident and WWT volunteer, where the Mens’s Shed programme originated and is well established. 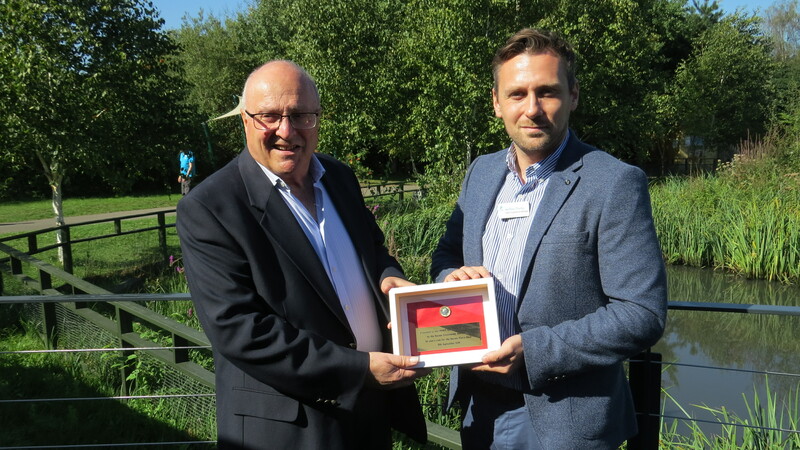 Working with two local charities FiSH and the Castlenau Community Centre, they applied for and were awarded £10,000 funding from a London Borough of Richmond-upon-Thames Village Planning Fund grant, as well as the donation of a site at WWT London Wetland Centre. Steven Mindel said, “I am delighted to be working with WWT on this important project to bring a Men’s Shed to Barnes.The issues of mental health are so important and reducing loneliness and isolation, are steps toward combating these concerns”.